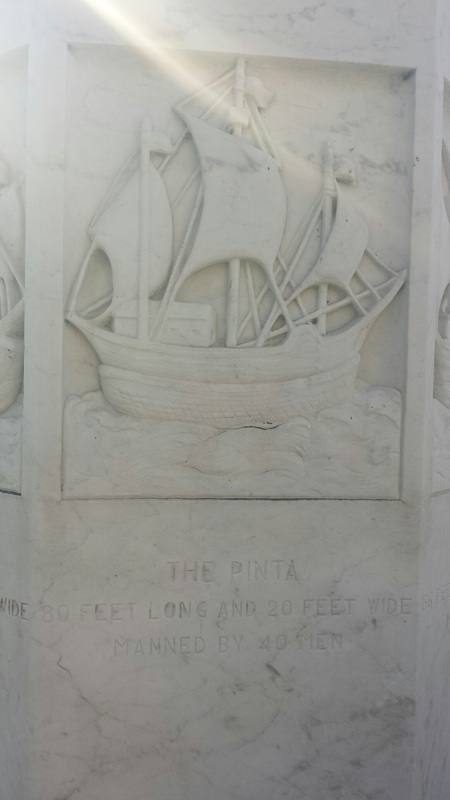 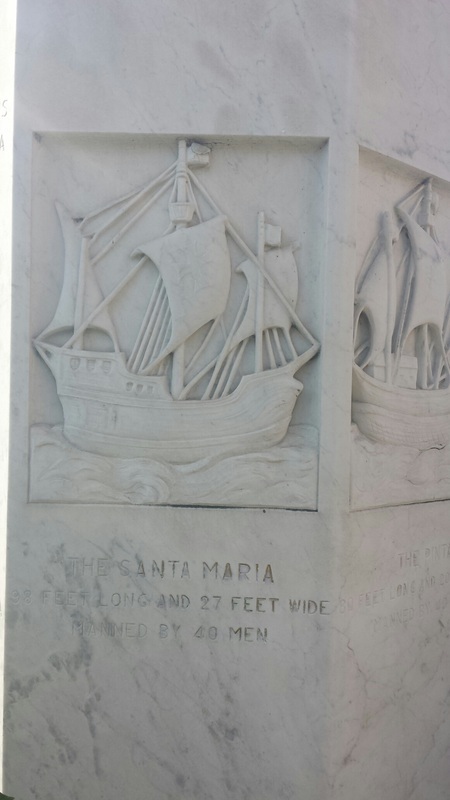 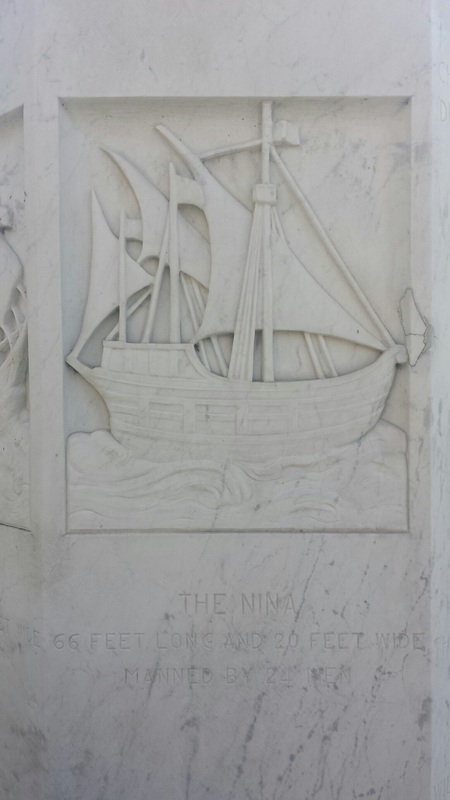 This monument to Christopher Columbus is carved in Italian Carrara marble and was dedicated on October 8, 1984 by former Mayor of Baltimore William Donald Schaefer and President Ronald Reagan. 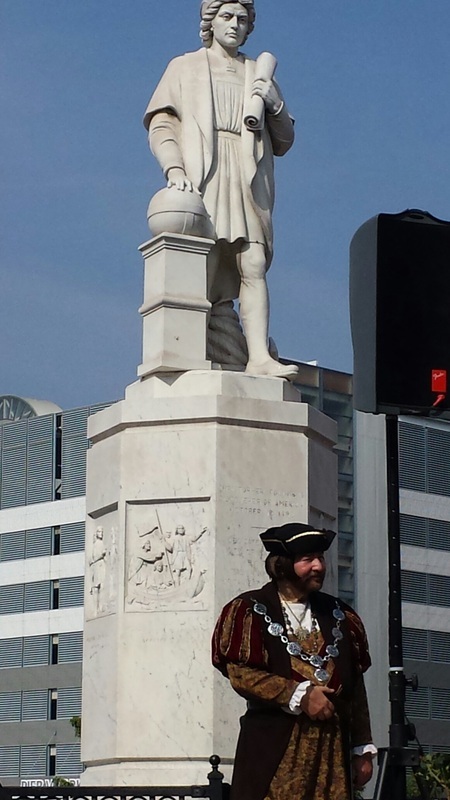 It depicts the discoverer facing east along Eastern Avenue into the rising sun - the direction from which the explorer's vessels arrived over 400 years ago. Each year the Italian community holds a Wreath-laying ceremony in Columbus Piazza before it hosts the Columbus Day Parade, in existence for over 125 years. 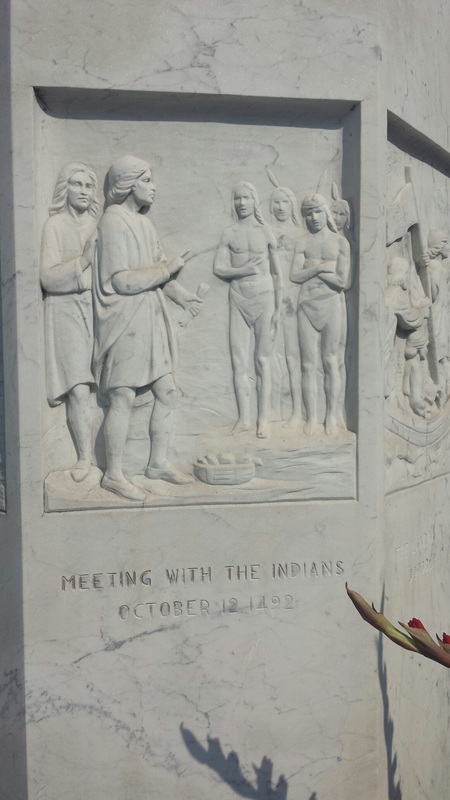 To inquire about participating in the annual October Columbus Day Parade, click the email icon below. 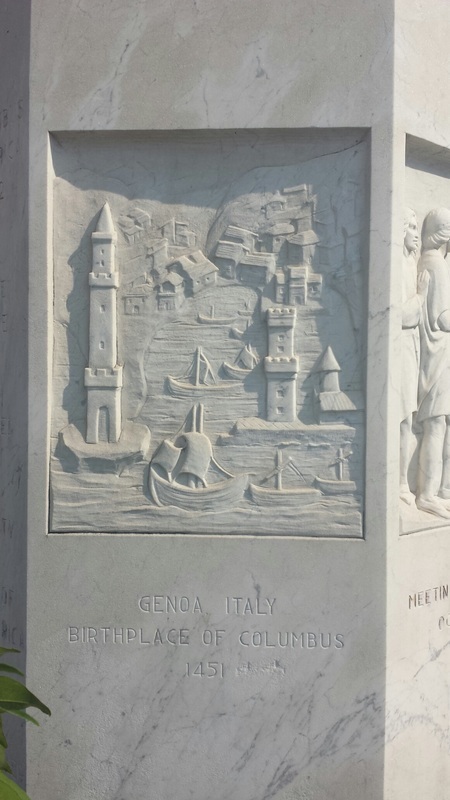 of Genoa, as well as the landing and meeting with the Indians of the new land. 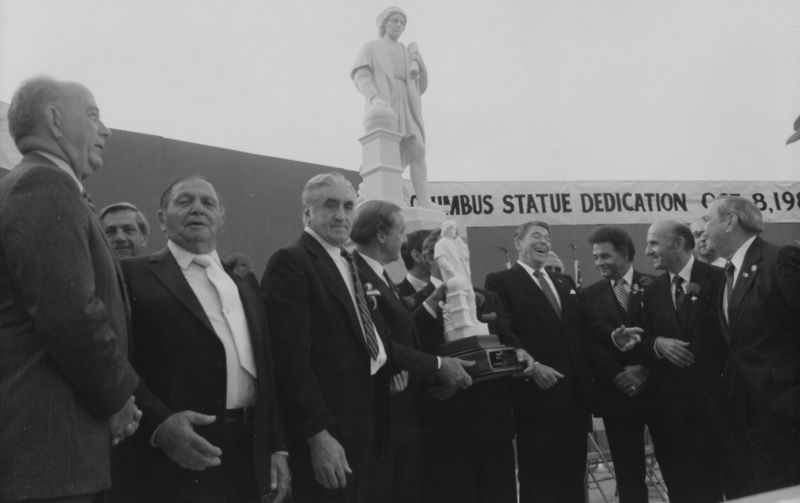 President Ronald Reagan (pictured under the word 'statue') visited Baltimore's Little Italy to dedicate the Christopher Columbus statue in 1984.